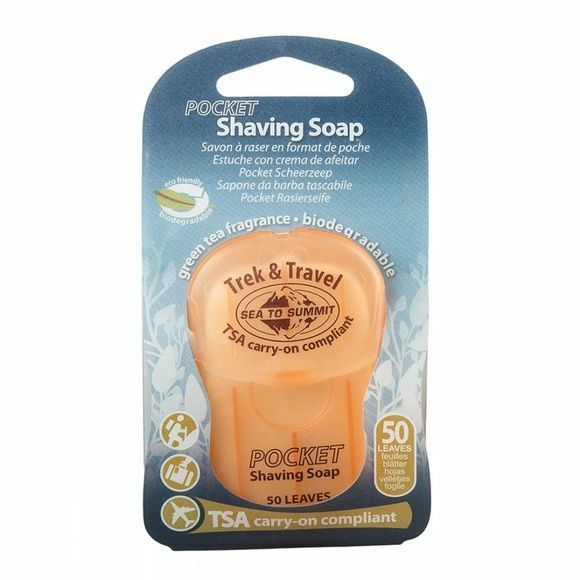 The Pocket Shaving Soap Leaves x 50 from Sea To Summit contain 50 leaves of pure, dry soap so there's no risk of leakage in your luggage or pack and no risk of having it confiscated by airport security. The easy-to-ration leaves mean you'll have plenty of soap to last your entire trip. Handy for travel or camping because they're lightweight and compact. They're also biodegradable so they won't harm the environment when used in accordance with Leave No Trace principles.